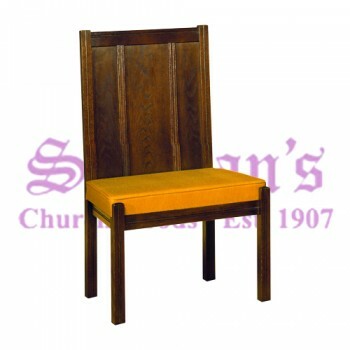 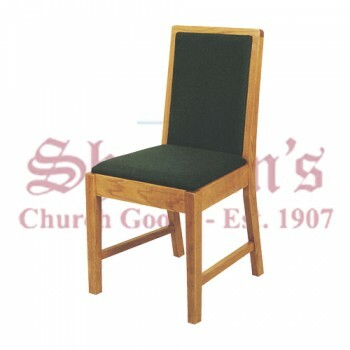 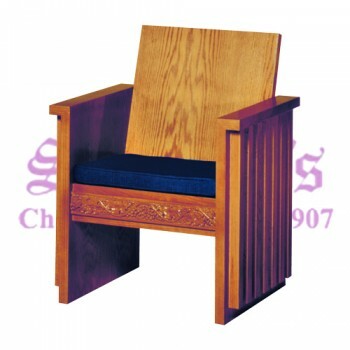 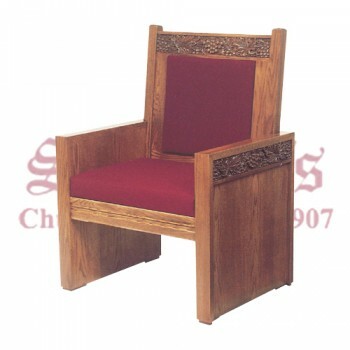 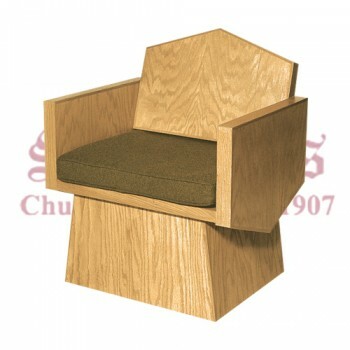 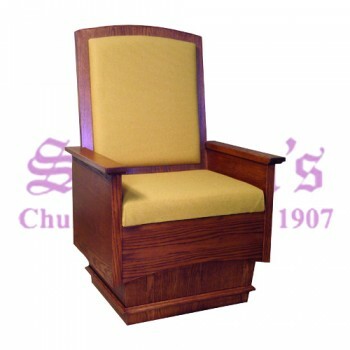 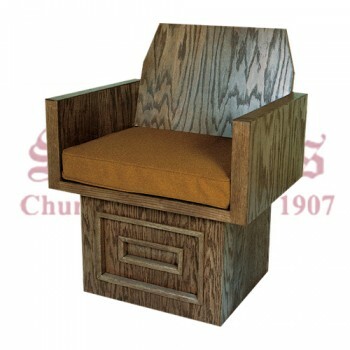 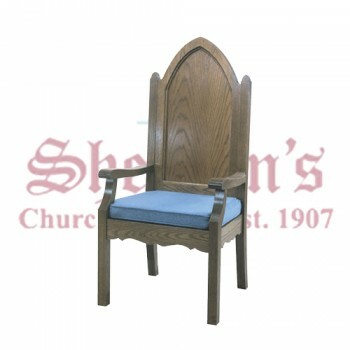 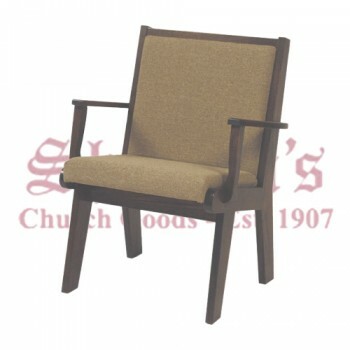 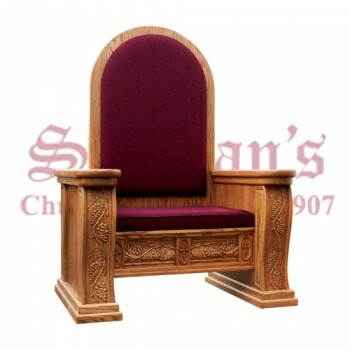 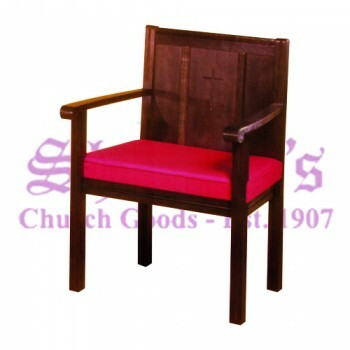 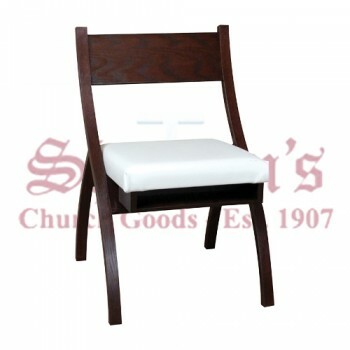 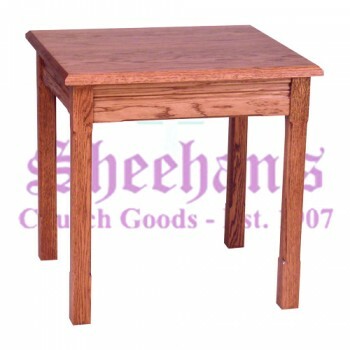 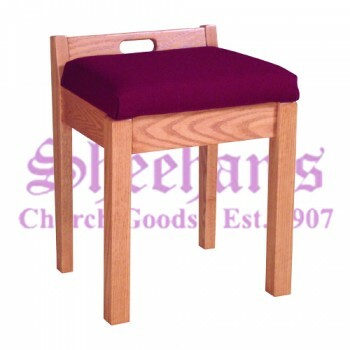 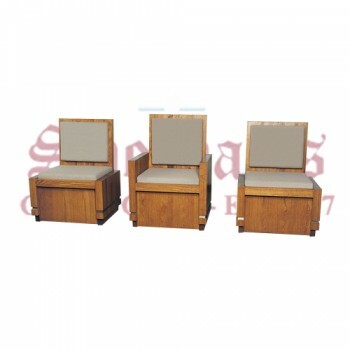 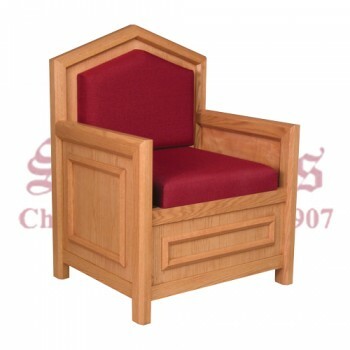 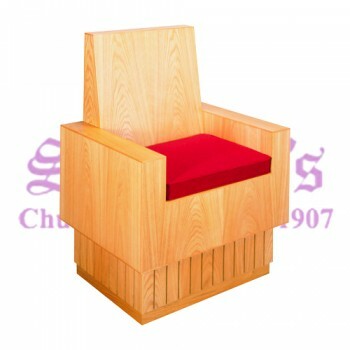 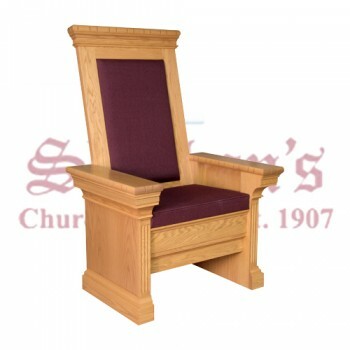 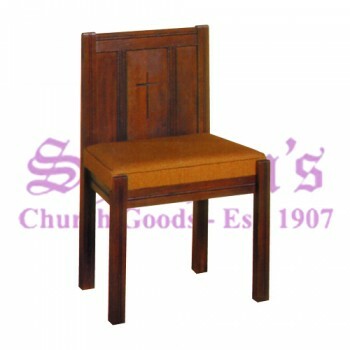 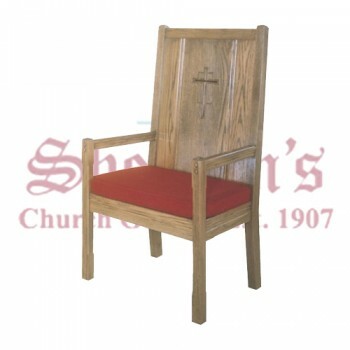 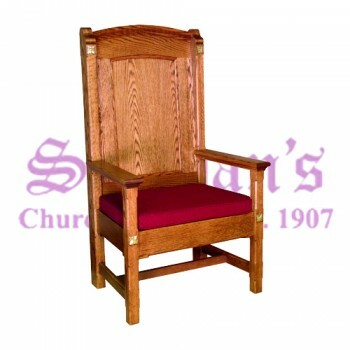 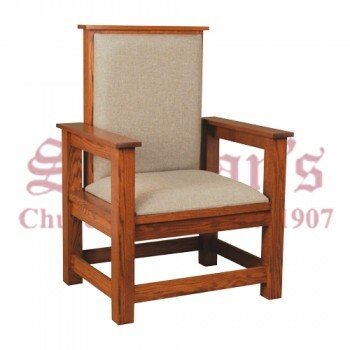 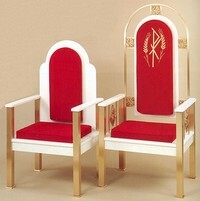 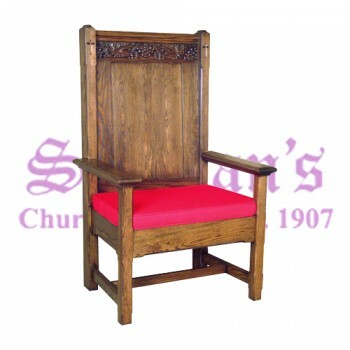 Matthew F. Sheehan is the leading online source for high-quality specialty church chairs. 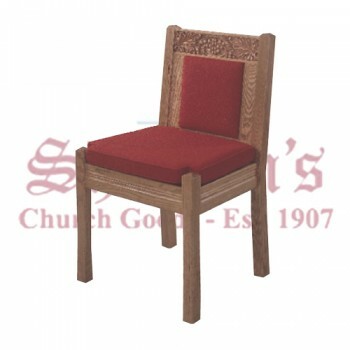 Whether you're looking for seating for a chapel, a meeting room, a classroom or another area of the sanctuary, our selection of premium upholstered chairs deliver comfort and style where it's needed the most. 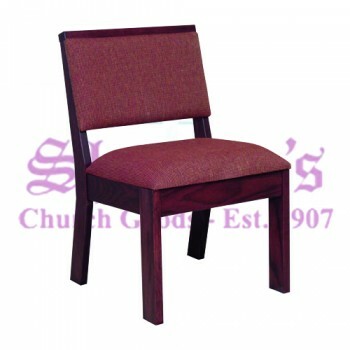 Our chairs are available in a variety of colors, styles, fabrics and designs to perfectly match any space. 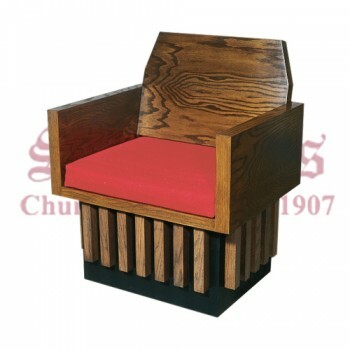 Our church chairs and pulpit chairs for pastors are designed to last. 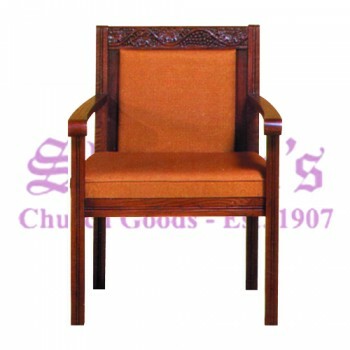 Each chair style is hand-selected to meet our exceptionally high standards of quality. 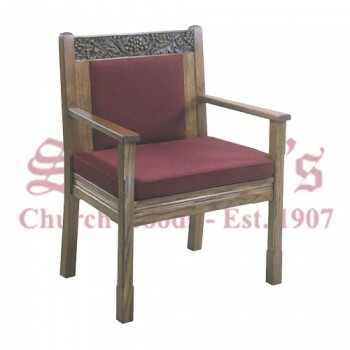 Chairs are made of premium woods and are designed to last for years to come. 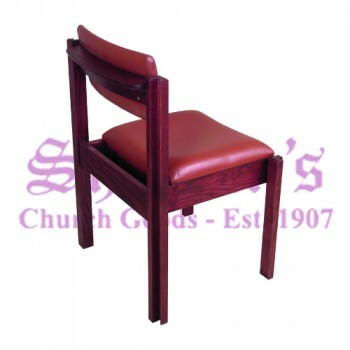 Each chair is carefully crafted by expert furniture makers and are stained or sealed to lock in the natural beauty of the wood. 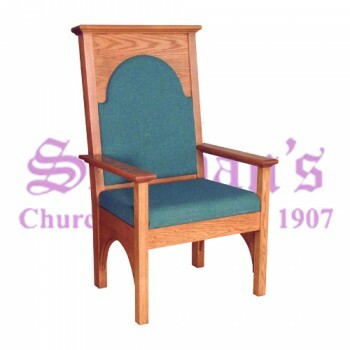 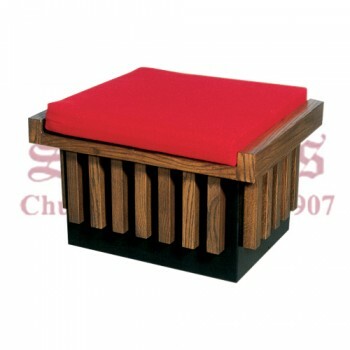 Upholstered styles are made with durable fabrics featuring vibrant colors that are perfect for the church setting. 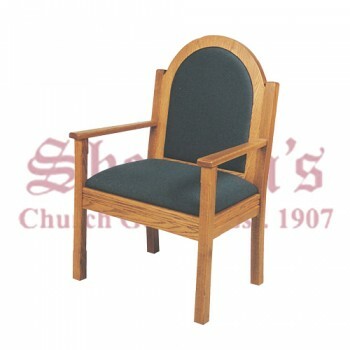 When it comes to chairs, Matthew F. Sheehan has the best variety. 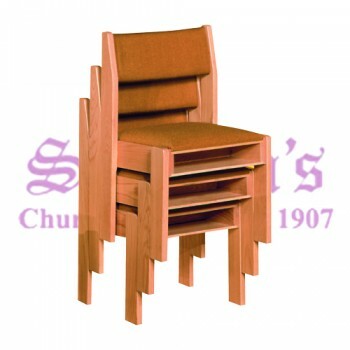 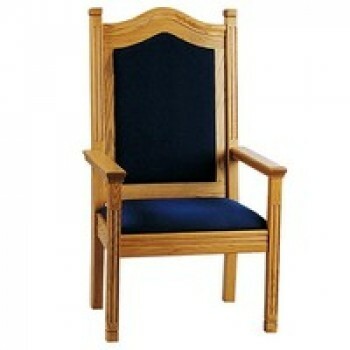 We carry stacking chairs for meeting rooms, chair sets, benches, celebrant's chairs, sanctuary chairs and more. 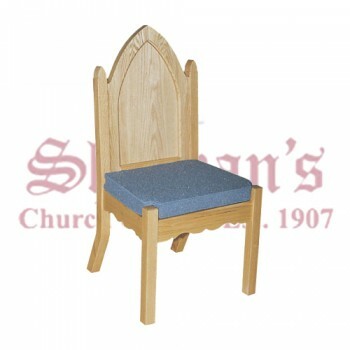 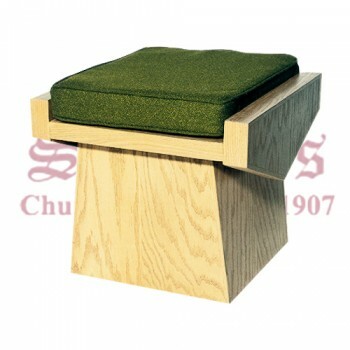 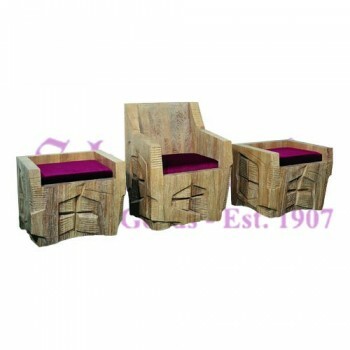 We even carry multi-purpose styles with built-in prie dieu's that are perfect for sitting during services or kneeling during prayer. 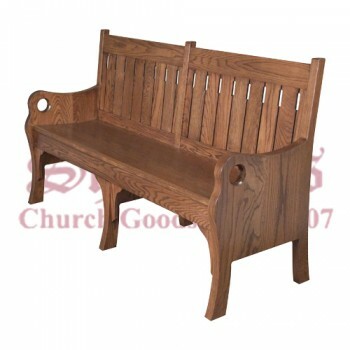 Our portable pews are a popular choice for outdoor ceremonies and events. 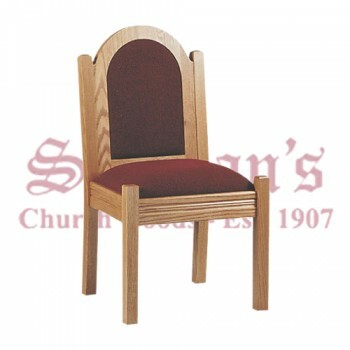 Our chairs are sold individually unless otherwise noted. 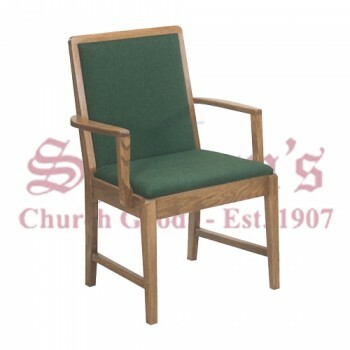 Order as many or as few chairs as you need to fill your space and provide seating for every member of your church. 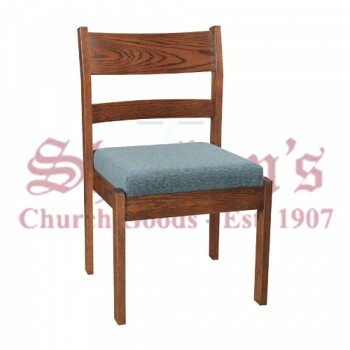 Our chairs are priced competitively and new styles are added regularly. 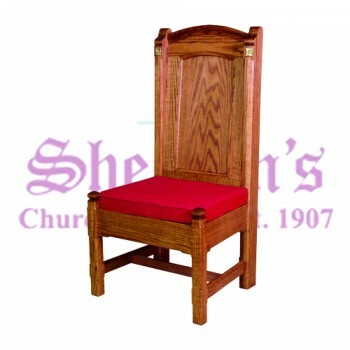 In addition to a large variety of chairs, we also offer free shipping on qualifying orders. 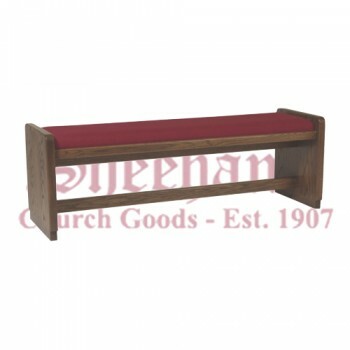 Take a look at our impressive selection today and see why Matthew F. Sheehan has been one of the most trusted names in the church goods industry since 1907. 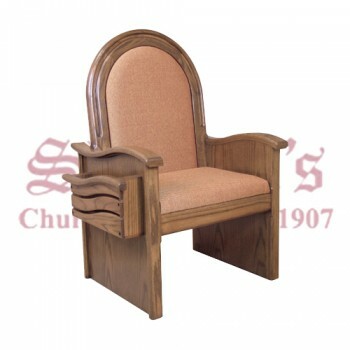 Our online store allows you to shop when it's convenient for you and to have your selections delivered right to your door. 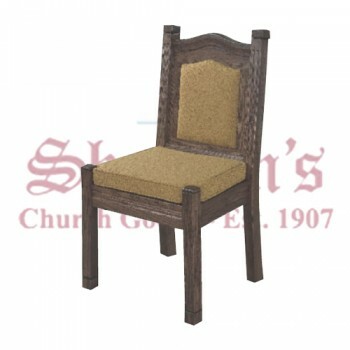 We offer dozens of chairs to choose from, so you're sure to find the perfect seating solutions for your space.